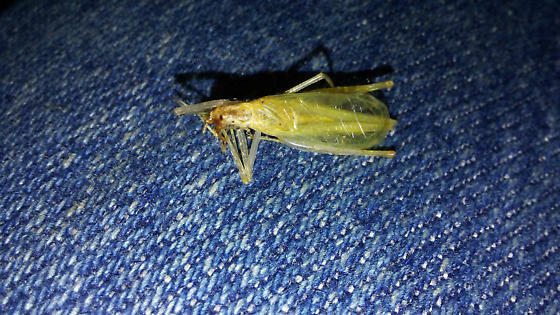 The wings are much wider than those of a Narrow-winged tree cricket. Although the black markings on the front of the base of the antennae would be a good character for telling which of these two species it is, your photo does show another distinguishing character -- a more robust 1st antennal segment (the scape) than would be seen on O. niveus. Moved from Grasshoppers, Crickets, Katydids.